If you're into BIG "pig" walleyes and smallmouth bass, with northerns over 40" not uncommon, you'll like it here. The fishing on Shikag Lake is out of this world because we've implemented a very strict catch-and-consume conservation program. We were one of the first in Northwest Ontario to do this. 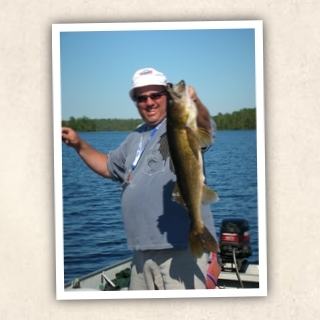 Moose Point Lodge offers both guided and unguided packages, and the fishing is truly good all season long. There is outstanding fishing just minutes from the lodge, but with all this water to yourself you'll want to explore in our 16 foot boats equipped with fast 25 hp Mercs. Feeling venturesome? Try a portage to one of the many interconnected lakes with boats on each. The eight available portage lakes all have unique characteristics adventure awaits you around every bend!